Deep, sweet, warm, complex aroma hinting cinnamon, sweet roots, apple sauce with an optimally fired toasty cereal overtone. 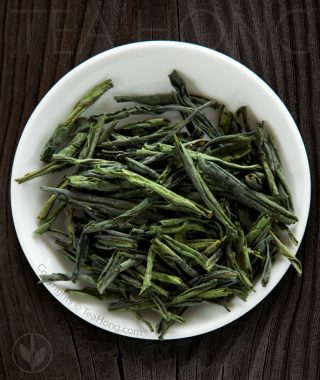 Accents of moss and earthiness that are typical of high grown oolong characters. Dark amber stout infusion rounded with good malty sweetness in a silky texture. Slight citrus accents and immediate, tinkling spicy, bittersweet aftertaste. 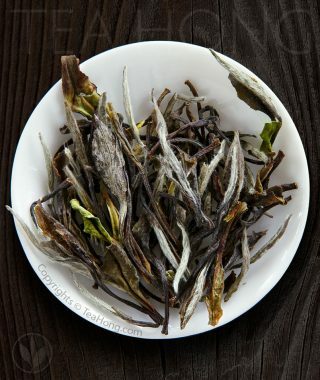 Best rendering by way of gongfu infusion at 95°C. 2011 was sold out so I got this 2012 but was surprised the two years don’t taste the same. This is good and has floral taste but I like the more fired taste of 2011 much better. Do you have more fired taste for 2013 or 2014? Both firing styles have their own followers and that’s why we are trying out which is more preferred by our customers. There is also a direction that we go both way, though this will not be too easy for us to maintain our inventory. I’ll certainly make a score for you for preference of the deeper baking style and hope your group will win before we decide which way to go. I truly expected more from this yancha after trying your fabulous Sacred Lily. I feel like the mineral rock taste of this one is a bit lacking compared to Sacred Lily. 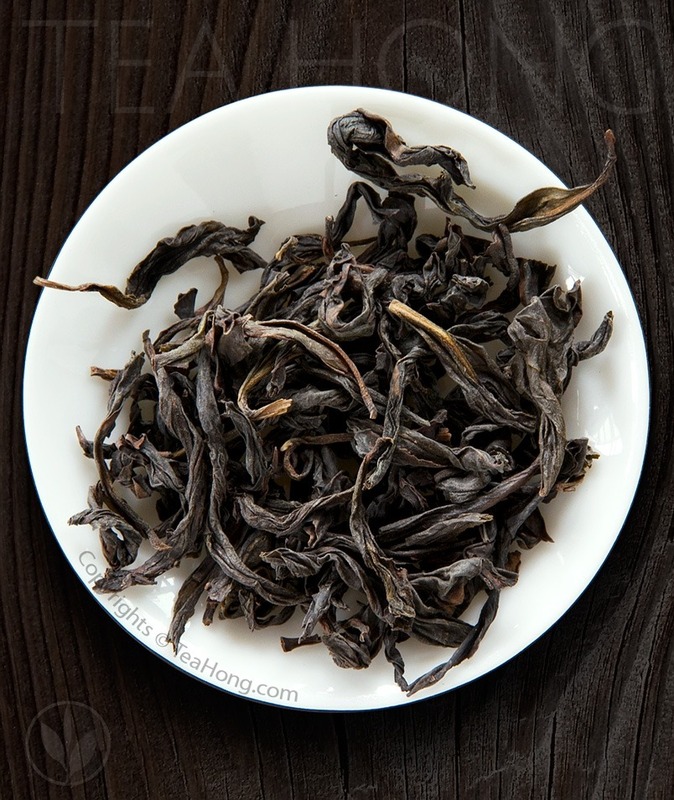 Perhaps it’s because the roast here seems to me a little overdone as the leaves struggle to open up even when using 99c water, high pour with yixing teapot. Hello Barack, Thank you for your comments. All comments are useful for us to learn how we should direct our products. I am sorry you do not like the tea. Different people look for different things in different teas. We do try to maximize the quality for what most people look for in each of the varieties. 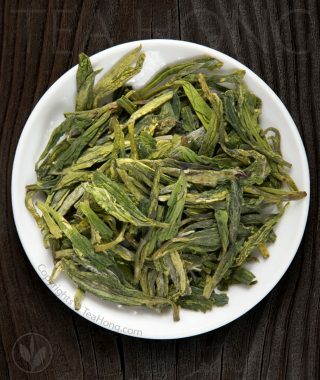 We have also tried to create new varieties — such as the Sacred Lily that you have enjoyed — so people may understand a tea without too much influence of preconceived ideas. By the way, more matured and deeper baked teas are more restrained in their twisted form. 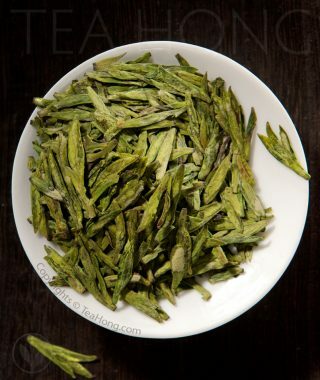 They do not open as much as lighter baked and fresher teas. One way to enjoy a genuine Red Cloak of this traditional finish is to double blanch it, and let steep longer. Repeat infusions to taste the play of the tea. I hope you’ll like it better this way.